Three years since its inception in April 2013, just 100 people, including dependents, have come to Canada through the Start-up Visa program. It is supposed to be a way to expedite permanent residency for people who want to start their own business in Canada. But three years since its inception in April 2013, just 100 people have come to Canada through the Start-up Visa program, and that includes dependents, CBC News has learned. By 2014, just four people and their five dependents had gained permanent residency through the program, according to Citizenship and Immigration Canada. 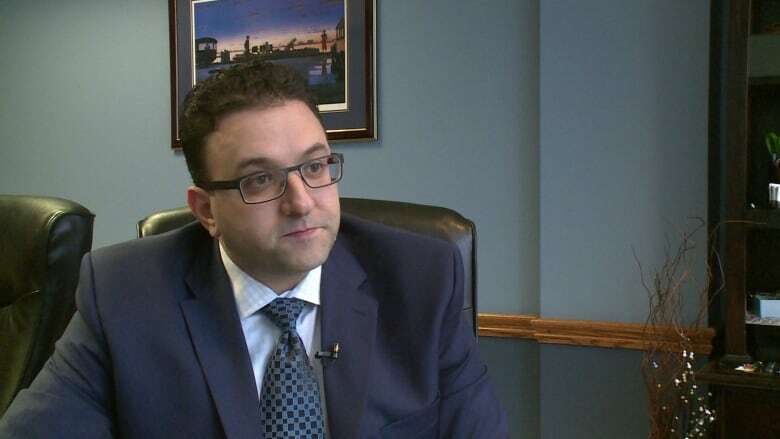 "A lot of the fanfare has worn off," Eddie Kadri, an immigration lawyer in Windsor, Ont. told CBC News. "There are some [lawyers] who are more optimistic. But again, I was optimistic when the program was first announced. We all were. But that optimism quickly faded," he said. "It just wasn't working for what we expected," he said. "We were forced to divert clients to other programs that were light years ahead of where the Start-up Visa was and where it is now." It's a time consuming process to bring in investors, said Yuri Navarro, the CEO and executive director of the National Angel Capital Organization, which vets and identifies angel groups interested in investing in foreign companies that want to come to Canada. "[The entrepreneurs] have to give confidence to the investors in risking their own capital in bringing them over," he said. "It's not impossible, it just obviously creates a number of challenges." In an emailed statement to CBC News, Citizenship and Immigration Canada called the Start-up Visa Program "industry driven." "The number of applications depends on the number of start-ups that designated organizations have chosen to support," the statement wrote. To qualify, a person wanting to immigrate to Canada is required to secure a minimum investment of $200,000 from a designated Canadian venture-capital fund, or $75,000 from a designated Canadian angel-investor group. That did not sit well with Kadri who has never advised a client to apply through the Start-up Visa. He said he discussed the possibility with 15 to 20 clients, but decided on other avenues in every case. "The private entities do the vetting of these businesses whereas the government usually does that vetting," he said. "Shifting that to the private sector creates a number of issues and concerns. In addition to that, the amount of time it takes for them to do their due diligence, it really is not an expedited program by any stretch." But Navarro countered the Start-up Visa program was not set up to be a "mass immigration program." "There has to be market need to trigger an application. When the program was originally created, it was created on the demands of a few investors who had great entrepreneurs who they wanted to bring to Canada, but had difficulty getting through," he said. "That's very different from any of the other classes of immigration where the program is intended to bring people to Canada. While Kadri said the number of people who have come through the program tells the story, he also said his decision to stay away from the program was based on money. "Clients who have a business acumen and significant financial net worth really are uncomfortable, in many ways, dealing with private entities knowing they can't apply through the Start-up without first making a deal," said Kadri. "I just see little motivation for the private sector to process all these applications and try to see potential in the vast majority of them when they're focused on hitting the ball out of the park." Navarro does not disagree. "What happened before is you got a lot of mom and pop businesses. You had convenience stores that were the entrepreneurial venture that allowed the applicant to come into Canada. That is very different than building a skilled, global business," he said. The five-year pilot program was brought in by the Conservatives, replacing the Federal Entrepreneur Program that started in the 1970s. The entrepreneur program was suspended in 2011. The immigration minister's office told CBC News the program will be reviewed this year as it is a pilot, and the results of that review will inform any decisions about continuing or revamping it. 2,750: Number of applications the IRCC accepts each year. 100: Number of people who've come to Canada under the program, including dependents, as of Jan. 17, 2016. 4: Number of people who came to Canada under the start up visa program by the end of 2014. 22: Number of start ups that have been developed in Canada with help of program by end of 2015.